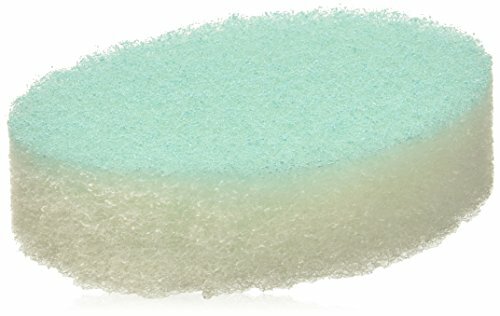 Featuring patented, revolutionary foam-release technology, this body sponge contains an exquisite blend of cleanser, moisturizing olive oil, seaweed extract, caffeine, and floral fragrance that will leave your skin feeling soft and smooth after every use. 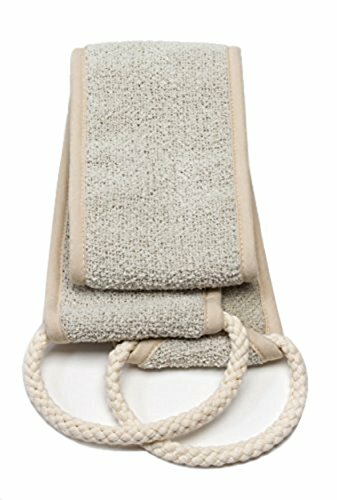 Just add water to create a luxurious, at-home spa experience and release the rich lather. 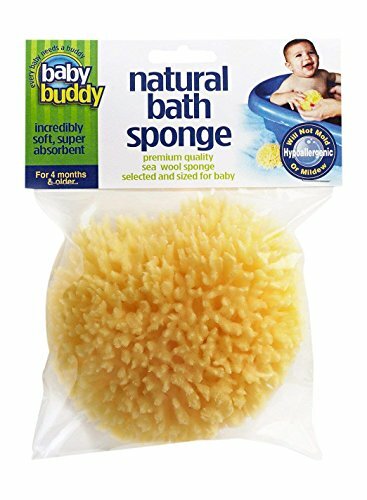 Directions for use: Thoroughly wet sponge and squeeze to release the creamy lather. Use the soft side to cleanse and moisturize. 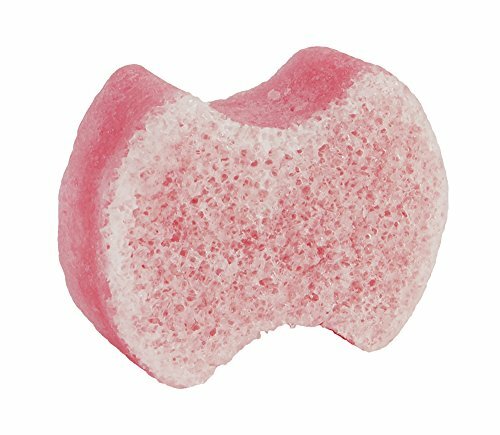 Flip it over and use the textured side to treat cellulite. Massage briskly in circular strokes over problem areas. 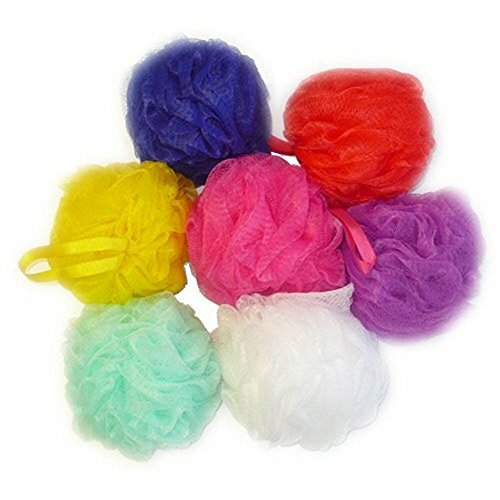 When finished, squeeze out any excess water and store in a dry place until next use. How would you like a facial each and every day? 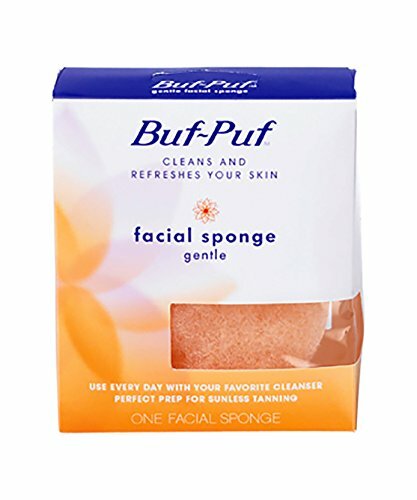 Simple, natural, effective, deep cleansing & non-toxic. 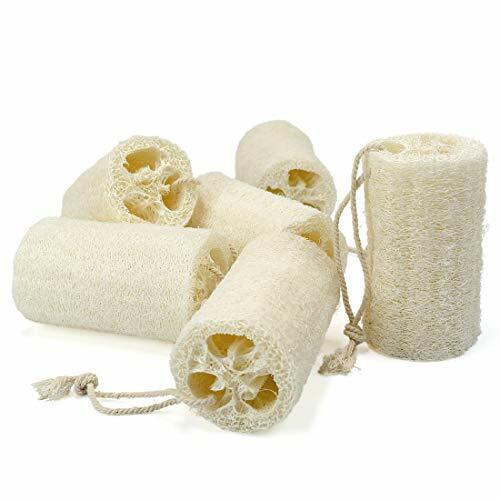 Our sponges are eco-friendly, vegan, natural and made from pure edible vegetable roots. Don't wait any longer. 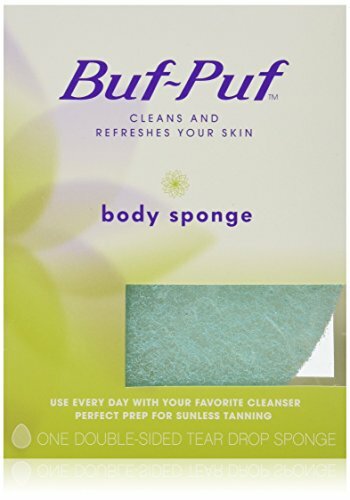 Your skin is calling! 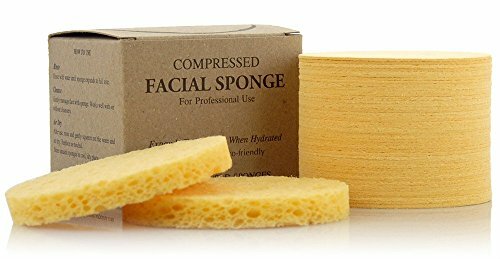 BRIGHTEN YOUR FACE: The white sponge is great for all skin types, including sensitive skin and babies, the black sponge is best used on oily or problematic skin. 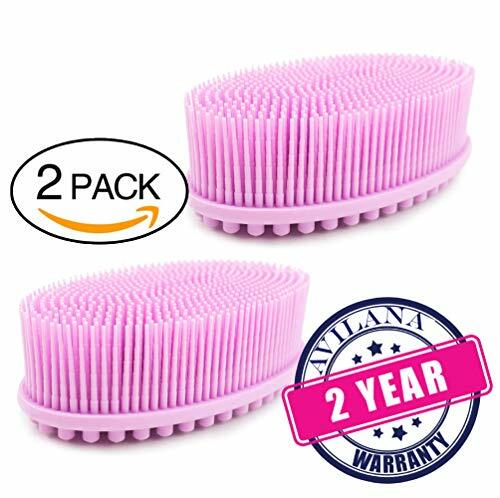 Instead of buying just one sponge, we are including a second sponge at no additional cost. 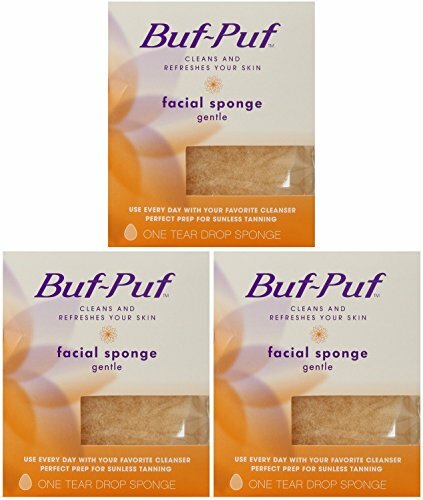 If you do not have acne prone skin, use the charcoal sponge once a week for an even deeper cleaning. 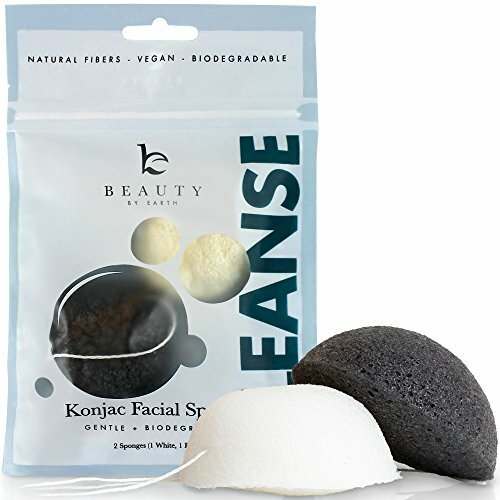 IMPROVES SKIN TEXTURE: Use Beauty by Earth Konjac Facial Sponges with your favorite skincare for deep cleaning and to gently exfoliate. 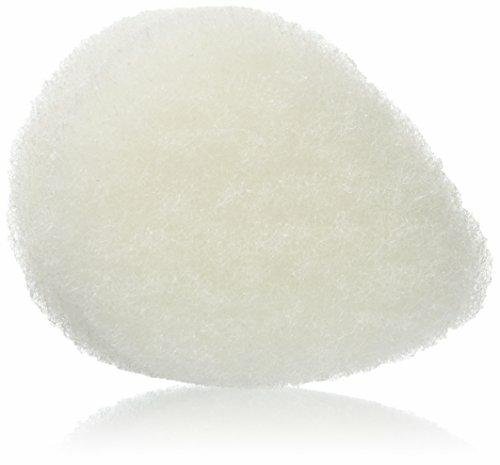 Konjac sponges assist in removing toxins, makeup and impurities, leaving you with a glowing and smooth complexion. 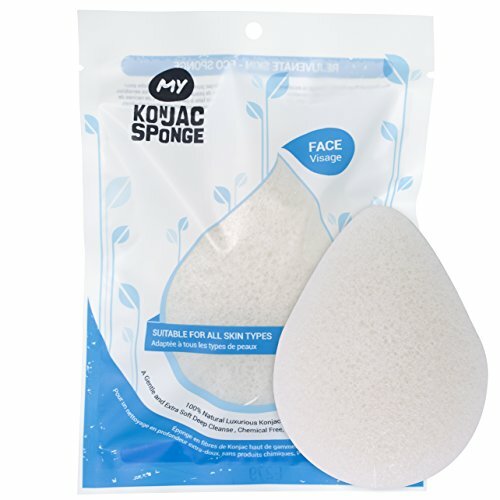 Use of our konjac sponges contribute to exfoliation of dead skin cells while promoting the growth of new ones for soft pure younger looking skin. 100% NATURAL AND VEGAN - Why jeopardize your health with products containing harsh or toxic chemicals and additives? 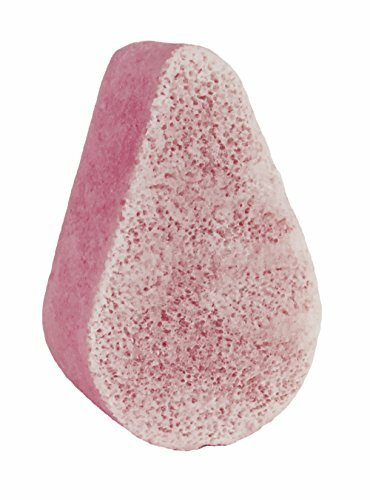 Beauty by Earth Konjac Sponges are 100% natural, biodegradable, eco-friendly and free of any parabens, sulphates, chemicals or junk. 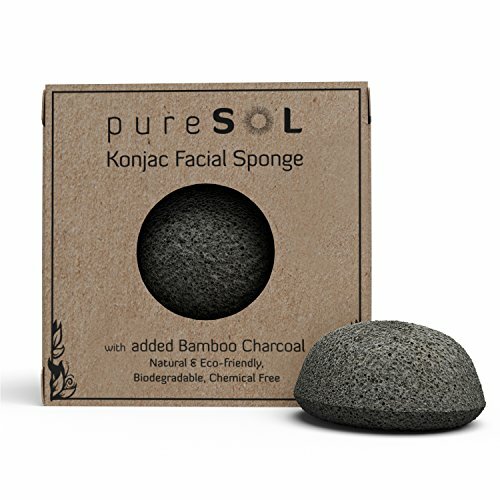 pH BALANCE YOUR SKIN - Konjac sponges are naturally alkaline and balances the acidity of the skin's impurities and oils while enriching with protein, carbohydrate, iron, phosphorus, copper, zinc, vitamin A, vitamin E, vitamin D, vitamin B1, vitamin B2, vitamin B6, vitamin B12, vitamin C, and folic acid. 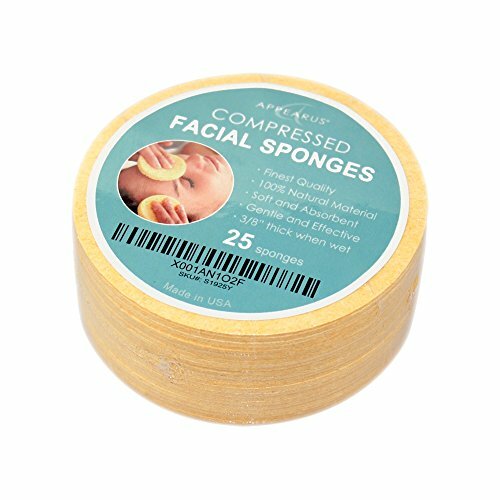 Gentle enough for the most sensitive skin types, this naturally deep-cleansing, pH balanced sponge can be used throughout the face, body, and even the very delicate under eye area. MONEY BACK GUARANTEE - All of our products come with a money-back guarantee.